I am writing to let you know how impressed I am with the customer service I have received from the start to the installation of my Roller Shutters. I called on a Tuesday and had one of your sales reps at my house within two days. We were able to come to an agreement on a good price that worked within my budget but still receive the best product possible. After agreeing on a price my Roller Shutters were installed within 5 days. The man installing my Roller Shutters was on time and finished when he said he would. The staff were very knowledgeable about the product and were able to answer all questions that we had. I am very satisfied with your product and your service, and I like how everything is West Australian owners and manufactured. 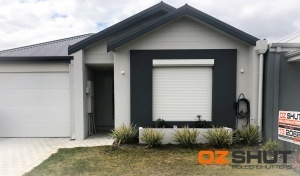 I will definitely tell my friends and family about OzShut if they are looking for Roller Shutters and if I’m looking for Roller Shutters in the future will come back to OzShut.